If you thought talking cats, talking dogs or parrots who talk are the only one who can speak, think again, because here comes a super funny game – Talking Dragon Draco Free! Draco the Dragon is your pet animal that responds to your touch and repeats everything you say with a funny voice. This is a great voice changer app, that is extremely fun and filled with a lot of cool stuff and animations. Not only will you be able to make jokes with your friends, but also enjoy looking at the cute dragon doing silly moves. Dragon mania has started and no one can stop it now! Pet your little dragon, poke him or tickle him, and you and he will become best talking friends. 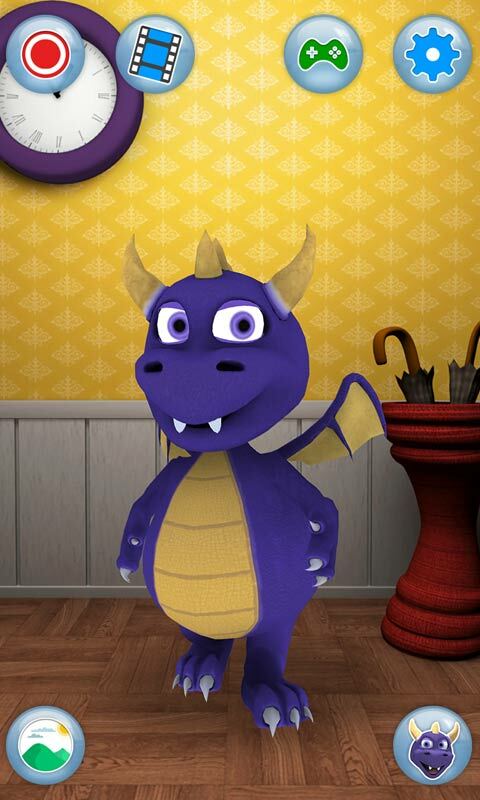 Since dragon looks so cute and his moves and voice are so funny and hilarious, this 3D talking game belongs to the category of baby games, 2. Enjoy life-like emotions: Draco can be happy, angry, sad, bored… his emotions change according to how you play with him. Children will try to absorb all of his emotions and facial expressions and this Dragon will become everyone’s best friend. Talking games are great games for kids but they can also be enormously funny games for adults. The main purpose of these kind of fun games is to bring joy and fun and spice up the everyday life. 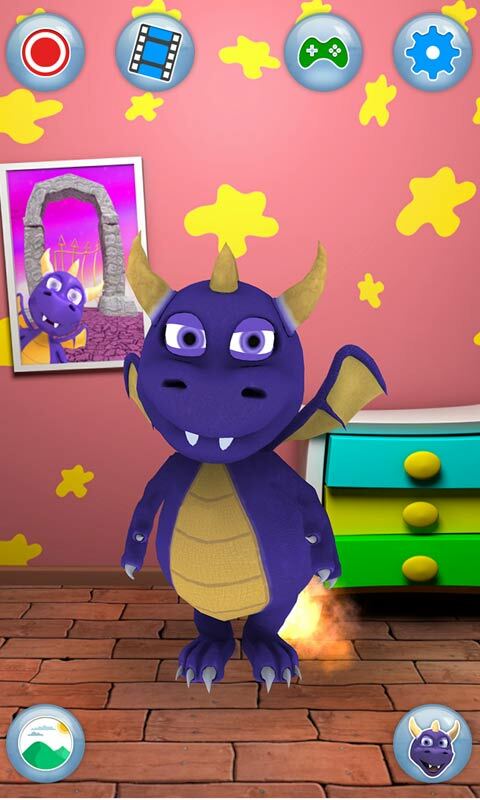 If you like Talking Tom Cat or Talking Angela and Ginger, then this Talking Dragon game will be among the best 3D games you’ve ever tried! Talking animals are so fun, and this dragon game for kids and adults is among the best ones. If you are looking for free games for kids of 2,3,4 or 5 years old, this is one of good talking games for kids. This talking app is waiting for you!! Bother him long enough and make him do different things. Record him and share the experience with your family and friends. 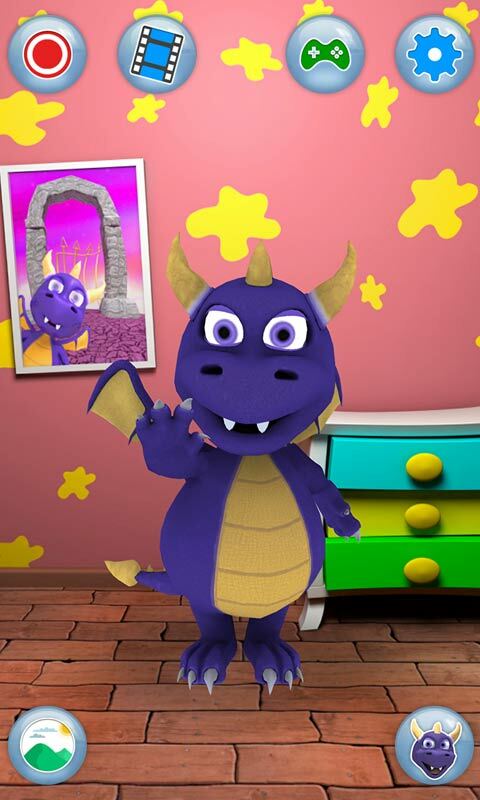 Start your own dragon story and enjoy this magic dragon! !